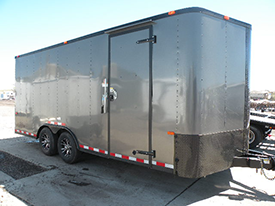 Colorado Trailers Inc. focuses on providing quality trailers at excellent prices. With our 20 plus years of experience in the industry, coupled with our knowledgeable and professional staff, we can make sure you will find that buying a trailer from us is an easy, enjoyable experience. 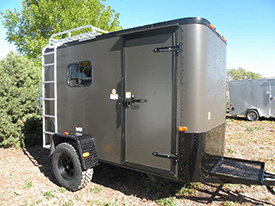 Shop cargo trailers for sale, toy hauler trailers, off-road trailers and enclosed trailers for sale in Colorado today! Our family owned and operated business is one of the leading trailer dealers in the Colorado area, and with our strong partnership with leading manufacturers, you're sure to find exactly what you're looking for. So if you're looking for trailers for sale in Colorado, you've definitely found the right place. We know the importance of having good quality trailers for your business, which is why we've chosen to partner with some of the leading trailer manufacturers in the industry. 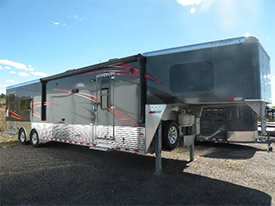 Check out a few of our Colorado trailers below. Our manufacturer line up allows us to provide our customers with quality trailers at excellent prices. Looking for affordable trailer sales in Denver? Call us! We have a range of used trailers just for you. Take a look at what's currently available and see if there's anything that suits your requirements. Trade-ins are welcome. Give us a call today to discuss your trailer needs. We'll be more than happy to help you choose the best trailer from among our range of quality trailers, based on your requirements. You may reach us at 303-688-8485. We are open Tuesday to Friday, 8:00AM to 5:00PM, and Saturday from 9:00AM to 3:00PM. We are closed Sunday and Monday. Cargo Craft has been providing quality cargo trailers since 1990 and with their slogan, "Tow the Best, Forget the Rest" you're sure to get a good deal on any of the Cargo Craft trailers you purchase from us.This manufacturer builds quality enclosed cargo trailers that includes many features and upgrades as standard, as well as our exclusive line of Off Road Trailers that takes cargo trailers to the next level. They are one of the only manufacturer that water checks every trailer before they ship. 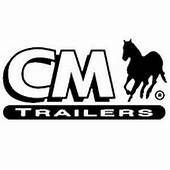 Haulmark is now part of the Colorado Trailers, Inc. family. This well known manufacturer has proven it's quality and brand. Haulmark Industries, Inc., is 100 percent committed to building value-driven, top-quality enclosed trailers for specialty applications and for hauling cargo, motorcycles, snowmobiles, ATVs, show and antique cars as well as race cars. Haulmark is part of Universal Trailer Corporation, the leading trailer company in North America. With significant financial strength and an impressive family of trailer brands, Universal brings added value to Haulmark by raising the bar in trailer manufacturing, quality and customer satisfaction. These quality cargo trailers brings us a great value with their reasonably priced quality trailers. Another great addition to the Colorado Trailers family, Wells Cargo is owned by built by Universal Trailer - parent company for both Haulmark and Wells Cargo. By having both lines insures us that we can carry a full selection of their superior cargo trailer products. Wells Cargo offers superior products such as Dry Max - an engineered product used in floors or walls that do not absorb water and the newest technology in trailer construction. With a multi million dollar investment to engineering, Universal trailer is the leader in advanced construction. Aluma Utility trailers and Car Hauler trailers offer superior quality and light weight options with their all aluminum frames. With a 5 year factory warranty, Aluma stands behind it's product. They highly recommended top of the line quality speaks for itself. With a high customer satisfaction rating, you are sure to enjoy their product.